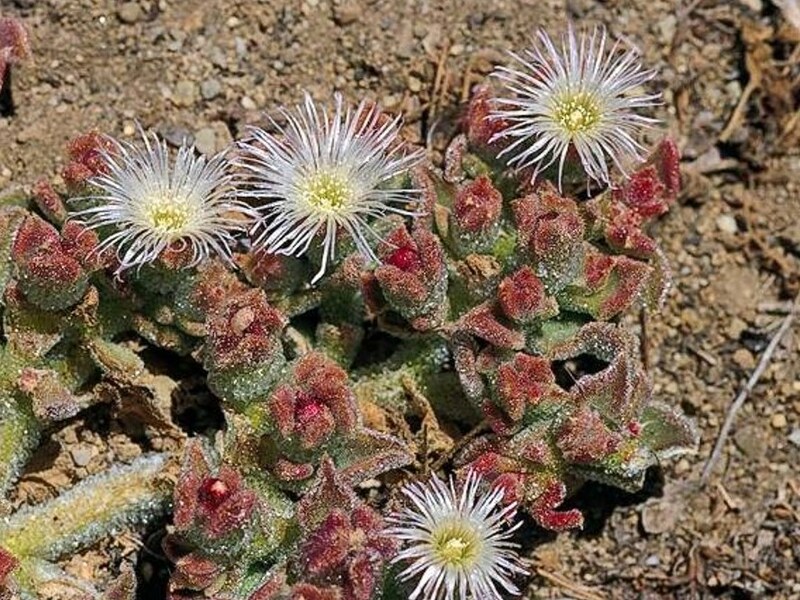 Mesembryanthemum crystallinum (crystalline iceplant) is a low-growing annual or biennial succulent shrub (family Aizoaceae) found on coastal bluffs of the California coastline and the Channel Islands. It has been used as a landscape ornamental and is named for the small glistening vesicles that cover its leaves and stems. Crystalline iceplant inhibits the growth of native plants by accumulating salt in the soil and by leaving behind mats of dry plant matter that may take several years to decompose. It generally must colonize disturbed areas, and will not usually invade intact grasslands.